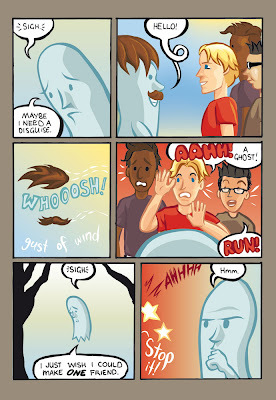 Here is a sneak peek at a page from the comic 'Ralphie the Lonely Ghost' written by Matt Emery (www.guzumocomics.com) and drawn by me. 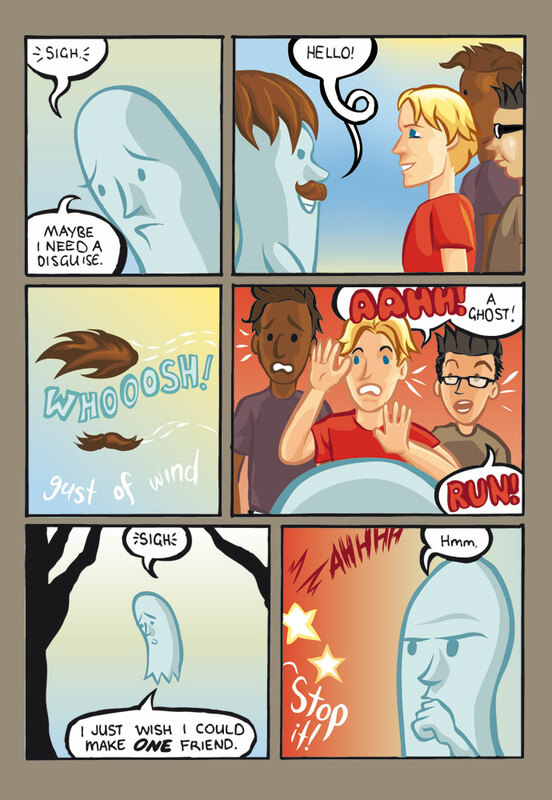 It will be published in the forthcoming kids comic anthology 'Clubhouse Comics'. But when, Brendan, when?! This page looks great, though, man. Great work!